Local Cheeses on Sale Now at Harvest Kitchen Corner Store! Say Cheese! Your favorite local cheeses are on sale at Harvest Kitchen! 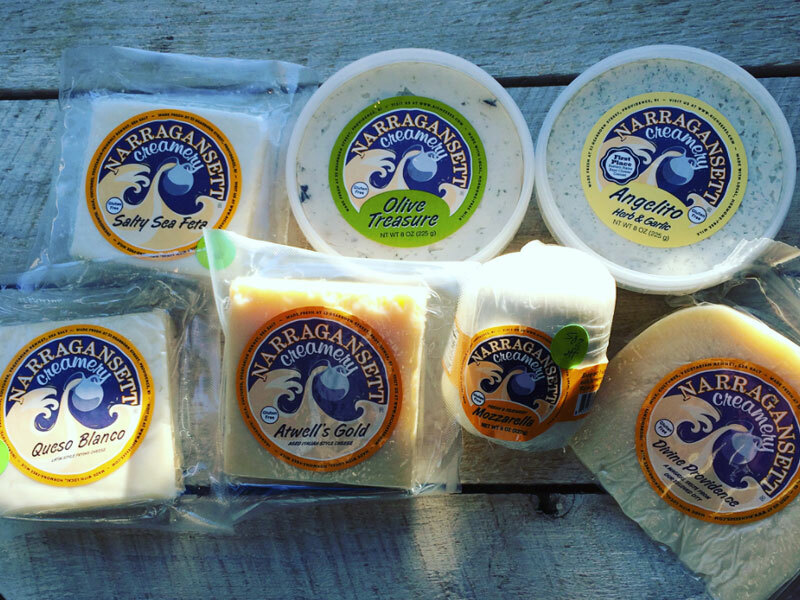 Bring in 2018 with a great cheese board from Narragansett Creamery. Visit us at 2 Bayley St in downtown Pawtucket weekdays 7:00 am – 5:00 pm, Saturdays 9:00 am – 3:00 pm. 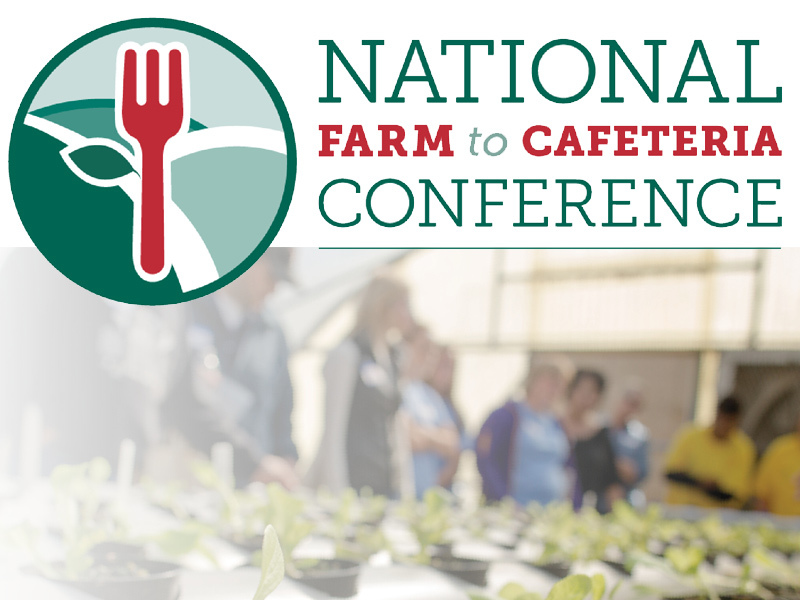 The 9th National Farm to Cafeteria Conference is coming to Cincinnati, Ohio, April 25–27, 2018! Hosted by the National Farm to School Network, this biennial event will convene more than 1,000 diverse stakeholders for three days of learning, networking and movement building. This Saturday at the largest indoor farmers market in New England: Holiday Deals! 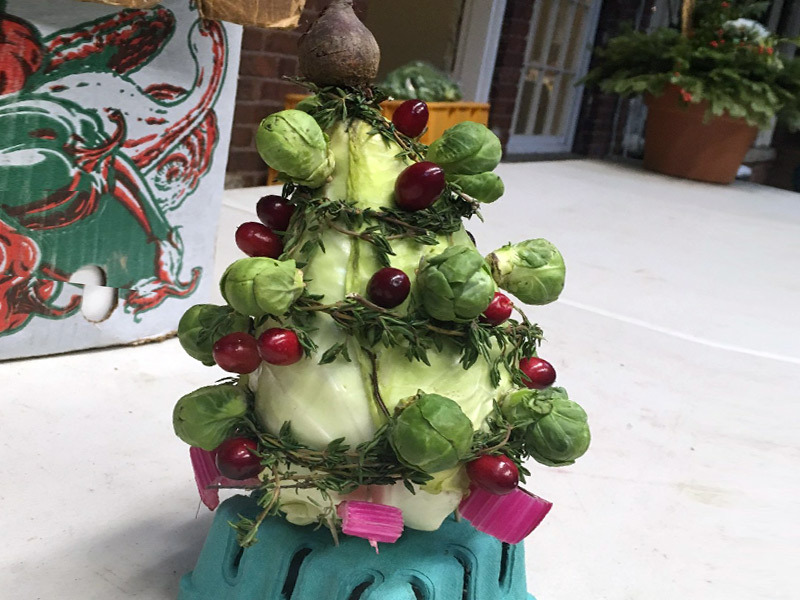 Enjoy local food for the holidays, deck your halls with local decorations, and give locally made gifts to all on your list! Who’s buying local in our community? 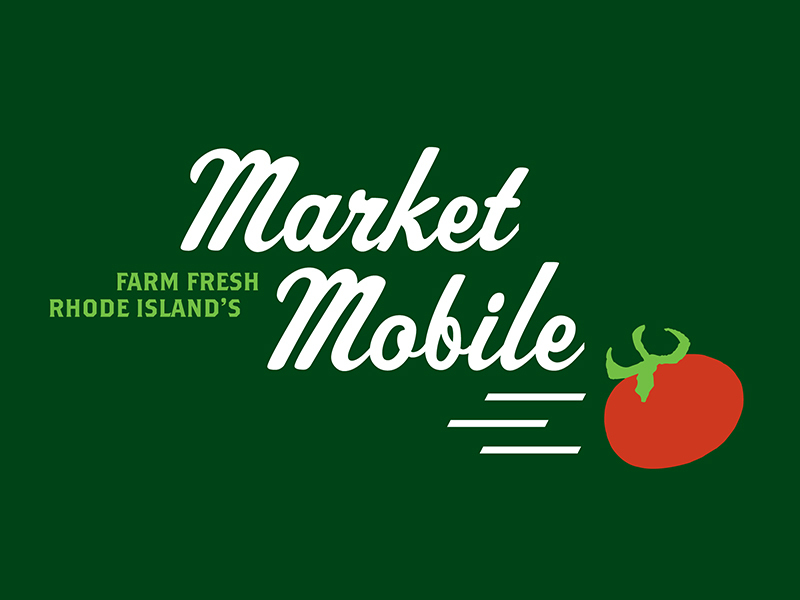 Here are just a couple of the many customers who ordered fresh food from local farms on Market Mobile this week! 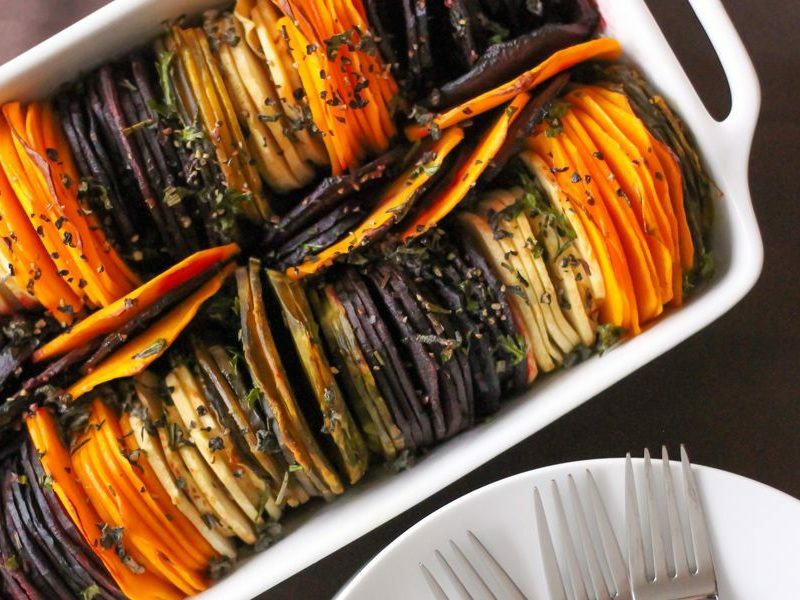 Don’t miss these noteworthy items in local food and agriculture news from around Rhode Island. 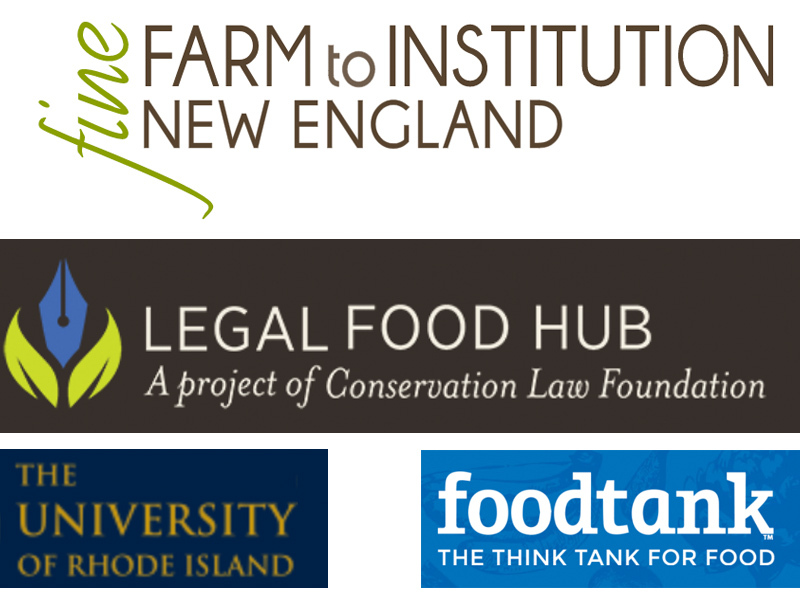 This week, read topics from our friends at Farm to Institution New England, Legal Food Hub, Food Tank, and the URI FOODx Summit 2018. 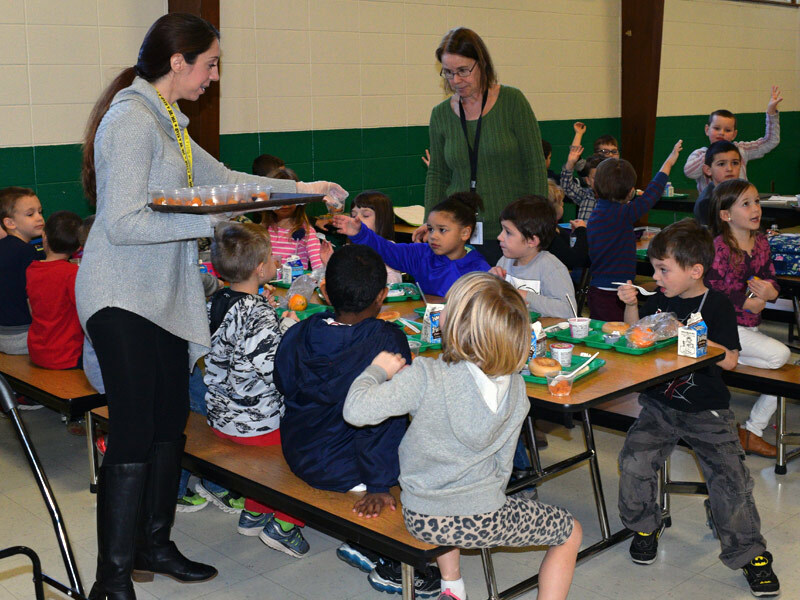 Earlier this month our RI Farm to School team — in collaboration with the Rhode Island Healthy Schools Coalition — trained our first Local Food Ambassadors during a cafeteria taste test at Richmond Elementary School. The orange-glazed local butternut squash was a hit with the students, and with food service staff too! 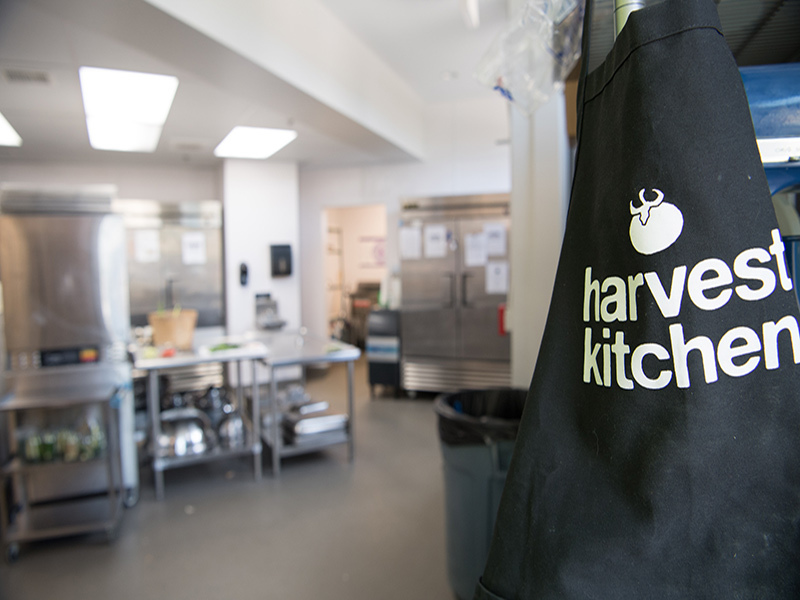 How do we weather cold, snowy days at Harvest Kitchen? 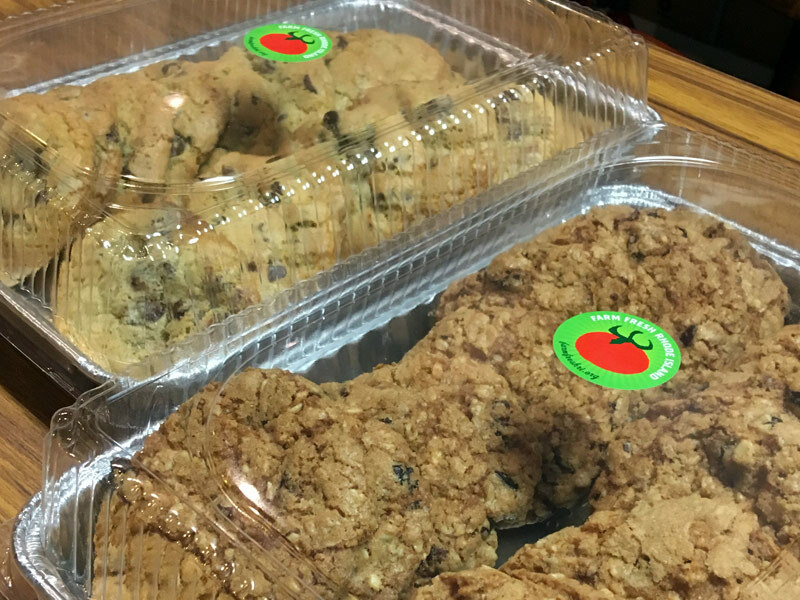 Special cookies for your home or office, plus new recipe development for our partners like RI Mushroom Company! Holiday Pickle Packs in Store! 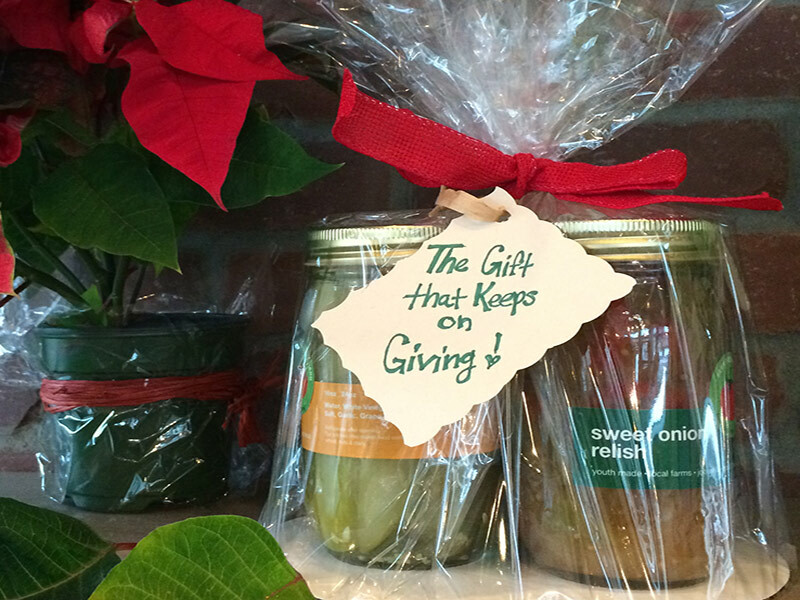 Stop by our local foods Café + Corner Store in downtown Pawtucket for great locally grown holiday gifts, like our pickle packs! Locally sourced, youth-made, no preservatives, and delicious. Choose from assorted pickle combos! Looking for a delicious local gift this holiday season? 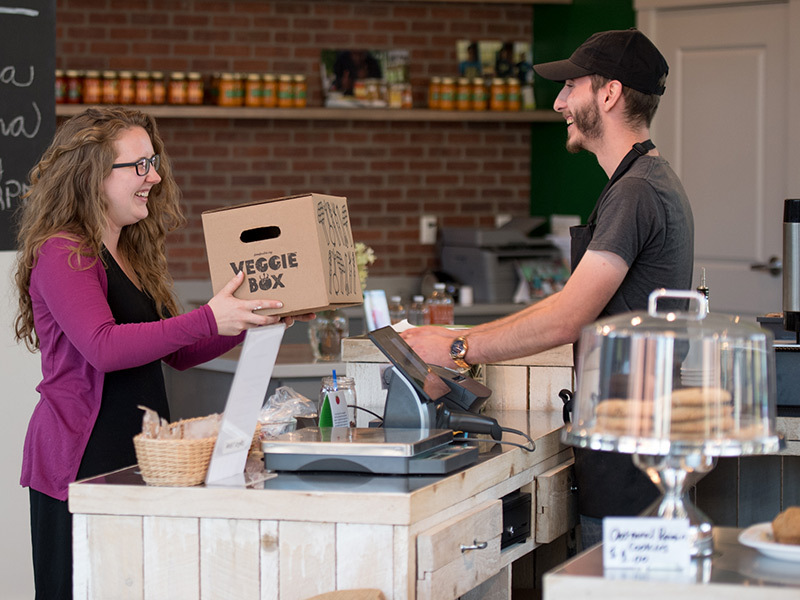 Give the gift of a Veggie Box Gift Certificate! 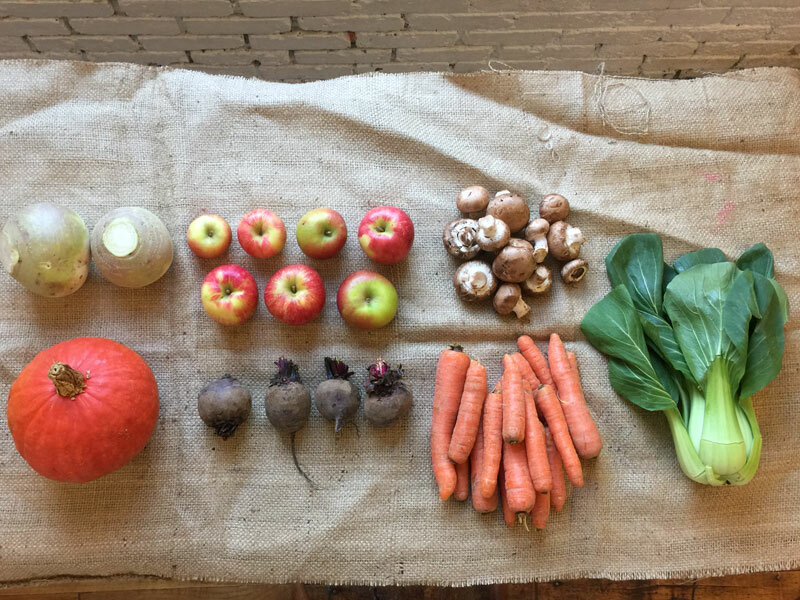 Your recipient will enjoy the thoughtful local bounty, and you’ll be supporting local agriculture while you’re at it! 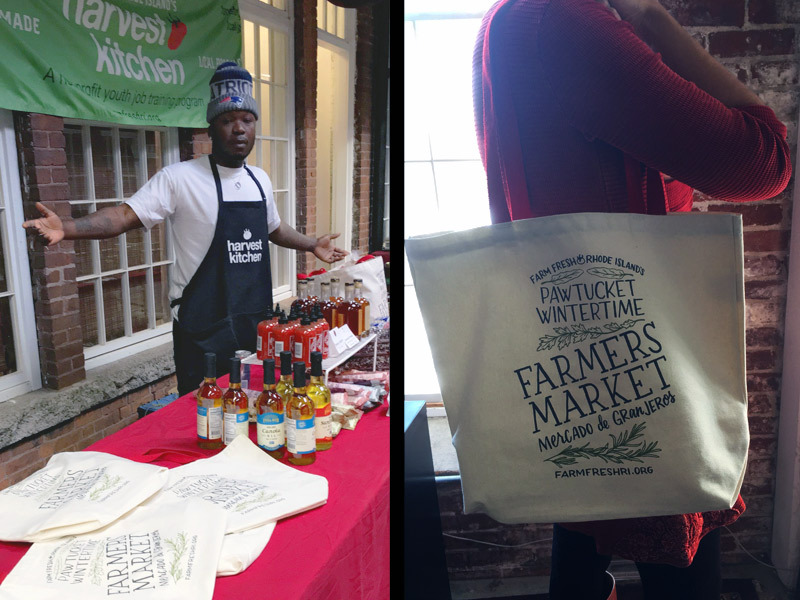 This Saturday at the largest indoor farmers market in New England: check out our special new tote bags commemorating this season of the farmers market! These limited edition bags are $15 each, and make a great gift! 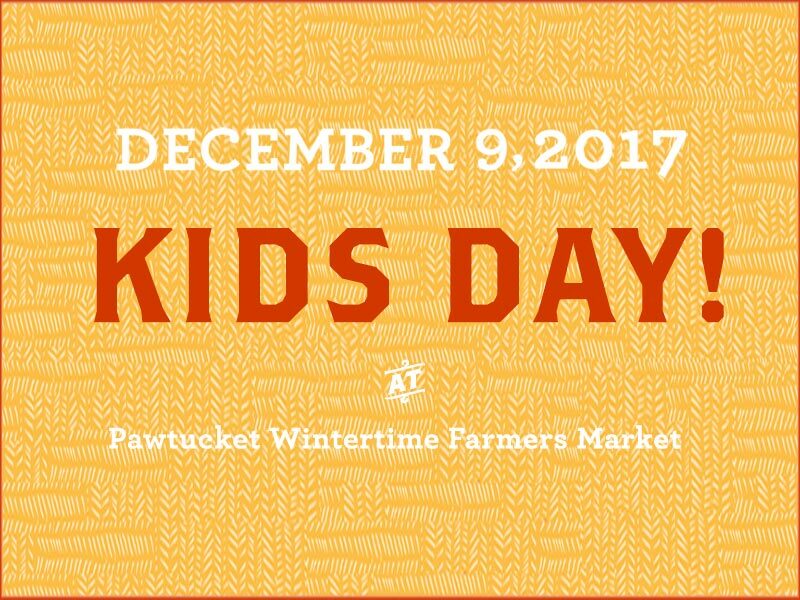 This week’s Farm Fresh Rhode Island news: Tomorrow is Kids Day — fun for the whole family at the Pawtucket Wintertime Farmers Market; RI Food Policy Council Job Opportunity; Veggie Box Gift Boxes; and more!